Some days do you wake up and wonder , “Just what am I doing? Is this all worth it?” Working hard to make a living, trying to blend into the “rat-race,” shuffling the kids back and forth between activities and sports, with barely any free time for yourself. I know, I do! Life can sometimes seem like one disappointment after another, but really, if we change our lens, and look at all the good and positive things in our lives, it can and will change our perspective. It is so important to have a goal, to be a part of something bigger than ourselves. 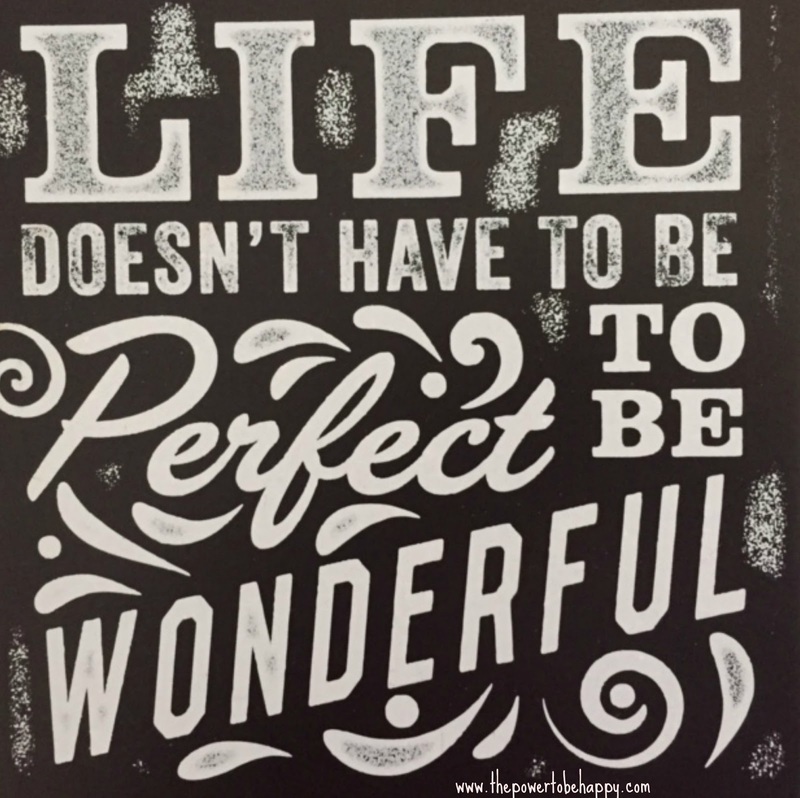 Even though, I do wake up some days feeling like something is wrong with the entire world, I’ve learned that “life doesn’t have to be perfect to be wonderful.” I have learned that in moments like this, that’s when it’s time to make the EXTRA effort to get out and do something positive. I have learned that three people have the power to make me happy: Me, Myself & I! That’s right only YOU and I, individually, have the power to make ourselves happy. And remember, life doesn’t have to be perfect all the time, you just have to recognize and appreciate what you do have and show gratitude everyday for it! This does not mean you are going to float around like “Mary Poppins” every day but it will help you will start your day off with a little more pizzazz and appreciation for the life you live, especially when you have dreams and goals to pursue. Here is a list of things I want to share with you, that you may want to try to help you get back into the “swing of things.” Remember, YOU always have the power to be happy. 3. Treat yourself to your favorite lunch or dinner. 4. Call or visit an old friend – sometimes the best therapy is just talking to someone you trust or like. 5. Find a way to laugh, whether it’s listening to jokes (audio) or going to a comedy show. 6. Read something inspiring and motivational. 7. Start a fun or creative project. Something that you’re excited about, that will make you smile. 8. Write about how you feel, whether you have a blog or not. Talk about the things that make you feel down or upset. Whether you share it or not, is not the point. It is cathartic to write out your feelings. Post it, don’t post it, whatever you choose to do, just get it out of your system. 9. Watch that movie that you’ve wanted to see for a while now, even if it’s requires getting a sitter. These are just a few things you can do to help you get a jump-start to your happy frame of mind. Everyday will not always be good but you can definitely find the good in every day. You are attracting what you think on a daily basis. You have the power…use it wisely! Follow your dreams, set a goal, one day at a time. 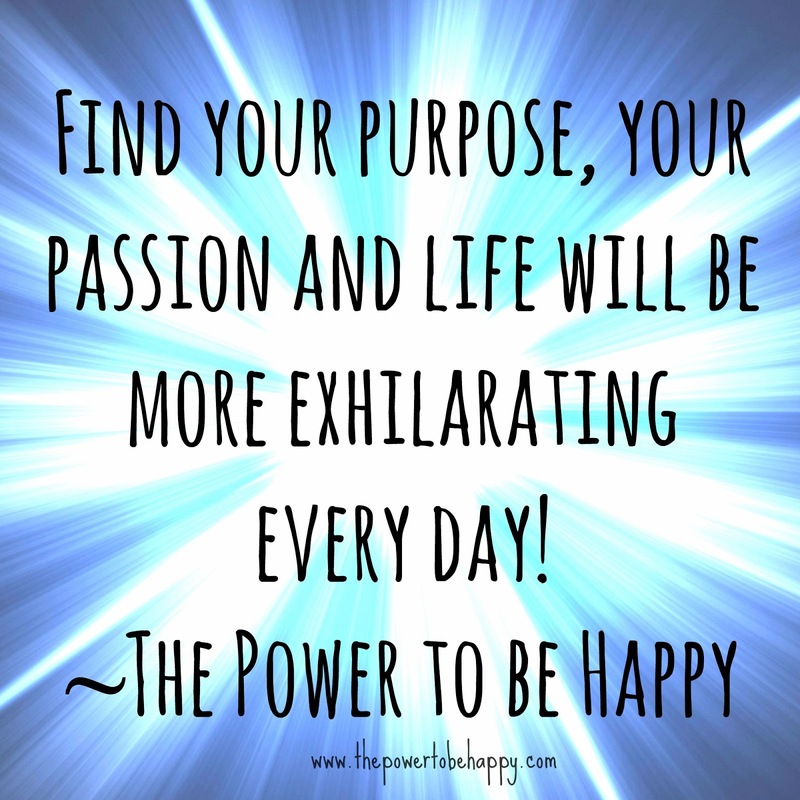 The key is to find your purpose or your passion and life will become more exhilarating every day!